From now until June 15, players can download and play Gears of War 4 for free. The trial version is the full game on a 10-hour timer with a lock, so if you decide to buy it, your purchase simply removes the lock. The trial does include unlimited play of the co-op and versus multiplayer modes, but if you finish the first act of the campaign in under ten hours, you'll have to unlock it to continue. Like most other timed trials, you also get to keep all of your earned multiplayer loot and rewards, if you pay for the full game. Gears of War 4 will be discounted during the trial period. The free-play event falls on the heels of the “Rise of the Horde” DLC's release a few days ago. This latest update adds 15 new Horde Skills, three for each class, new boss loot, and a new UI that reveals all “Power drops” on the battlefield. Powers can also be leveled up to Level 6 now. There are also two new difficulty levels to try out, Inconceivable and Ironman. Inconceivable mode ramps up the difficulty beyond Insane to compensate for the additional powers and higher level caps being added. In Horde Mode, it makes you weaker and the enemies stronger. In the campaign, it makes you and the enemies both more vulnerable but provides fewer ammo and supply drops giving the game more of a survival focus. Ironman is more of an auxiliary difficulty mode, that is to say, you can toggle it on or off no matter what difficulty level you are playing. Ironman provides a five percent experience point boost, but you better not die. In Campaign with Ironman enabled, you get one chance to complete the game. If you die, it is literally “game over,” and you have to start from the beginning. “In Horde, no COG tags will be dropped when you die, and one failed wave spells the end of your run to Wave 50,” says Coalition. 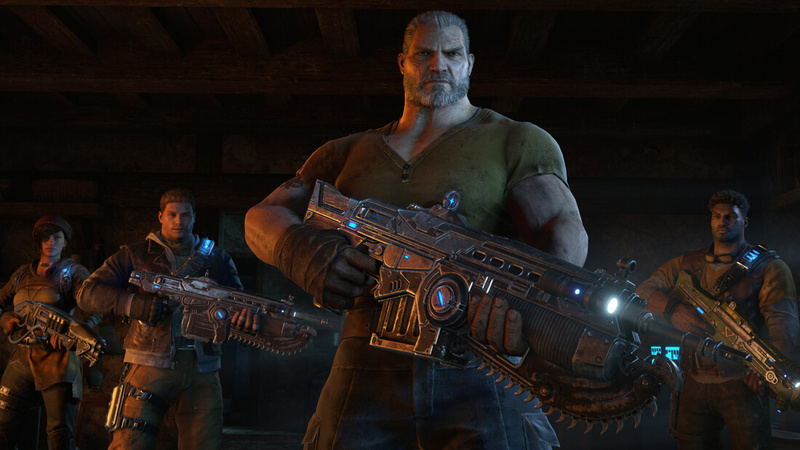 Gears of War 4 is a Microsoft exclusive title, so it is only available on Xbox One and PC. You do not need Xbox Live Gold to play the single player campaign, but you will need Gold if you plan on playing the co-op campaign or any of the multiplayer modes. During the free trial period, you can pick up the standard version for $29.99 and the Ultimate Edition for $59.99. Ah Windows 10, you almost had me that time. Tried it but it behaves like a virus, it hides it self and only way to remove it is to format the drive you install it on. Lucky I had to change hardrive anyways. This was the first and last windows app I try. ...That sounds like you didn't do something right. I installed the Halo 5 Forge app (decent Halo MP for PC) and it was easy to move around and delete. I have one windows 10 test system but as usual windows 10 does not allow you to choose location for install... oh well. Hahahaha.... they need 102.9GB for a free trial install on PC.... "1.21 Gigawatts!!!!" You can uninstall any app you want and delete the installation file/folder if you so desire. You can choose the installation directory. I have mine installed onto a dedicated SSD games drive. It's possible, try again.